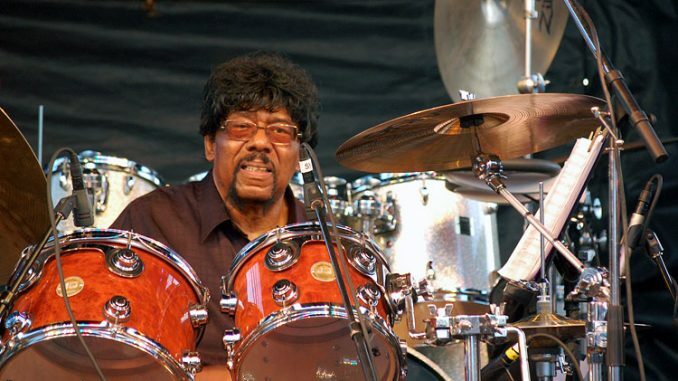 James Gadson is the iconic drummer whose work spans generations and crosses over into multiple genres. Mr. Gadson has laid down beats for a virtual who’s who within the music industry including Marvin Gaye, Randy Crawford, Paul McCartney, Quincy Jones, Martha Reeves, Bill Withers, and Herbie Hancock just to name a handful. His ability to interpret what the artist as well as the producer look for in order to release a work of art made him one of the most sought after drummers around the globe. Today we are able to ask Mr. Gadson five important questions about his career and his style. 1) First, allow me to ask you about your sound coming through on a recording. I have been told that unless the drums are mic’d correctly that the final sound, even with the best mixing tools today, will not represent what the drummer produces. Is that correct? Yes. That’s true even though it might turn out to be a hit record it still doesn’t represent the finest points of your contribution. 2) You’ve taken risks. I cannot fathom that you might have just read the music that was placed in front of you and just laid your contribution down. I believe that somehow you became one with the music through interpretation of what the band leader was looking for plus how you were feeling the music from within. Is there an inner feeling that you have harbored since your youth that allows you to use both discipline in the studio and yet also venture out a bit creatively? Well you know that depends on who’s writing the arrangement, and sometimes if they don’t write out everything, then you have to be more creative. They would want to see how you would feel about the music. 3) You recorded with the three Kings: Freddie, Albert, and B.B. – blues if there ever was blues. Plus, you recorded with Bill Withers and Marvin Gaye, two soft, soulful R&B styles. Different patterns, tones, and loudness were required. This reveals that your work crossed over into multiple genres. How did the word spread that you were the guy so many wanted in the studio even though they were not all in the same genre? Truthfully it was a blessing from God for me to play on these recordings of these great artists and for me it was all about the song and the artist. 4) New generations of drummers are coming up through the ranks and more will be coming in the future. You are a living legacy, is there any way that today’s aspiring young drummers can pick up on some cool pointers? My thing has always been the timing and groove, I think the technique is wonderful. I think everyone should play for the song and the artist. If you’re playing for yourself that’s a different story. 5) Finally, out of all the sessions you worked throughout your life would there be any one session that was more fun to work and if so what made it that way? I try to give my all in all on every session I play on. So, that being said, there is no one session that was MORE fun. It was fun but I had to be serious, I had to make it work. I’m so blessed to have the successes I’ve had and all were fun.